Food Packaging And Brand Protection: It’s Simple, Right? 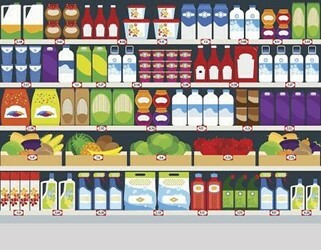 Food Packaging And Brand Protection: It's Simple, Right? Everyone knows packaging is primarily about the product itself; protecting, presenting, and conveying it. But, what does packaging do for brand integrity? The answer is more complex than you may think. When talking to a product technical or food safety professional, mention the role packaging plays in the food industry, and you tend to get the same areas of discussion rising to the top immediately. The standard answer would revolve around either migration (usually packaging into product), or protecting the product from contamination, or both. That pretty much sums up a non-packaging experts sphere of concern; and rightly so, as both are important. But, is that really all there is for us to consider? In most basic terms, packaging is there to convey, protect, and present the product. It’s an integral part of providing the customer what they want, in the form and condition they expect. Yes, it’s primarily about the product, but it has an equal role to play in conveying, presenting, and even protecting the brand itself. Not just the obvious marketing potential of a customer facing panel, but the overall experience a customer has with the packaging reflects on the brand as much as the unpackaged product itself. If a package fails to prevent the product being contaminated in transit and shows up on a retail shelf looking unusable, that product is ruined, and the brand is damaged. Similarly, badly printed and unreadable cooking instructions on the back of a package will leave a customer disappointed, in the product experience, and likely, with the brand. Maybe it’s time to expand our perspective on packaging, what we pay attention to, and how important our packaging suppliers, and their process controls are.